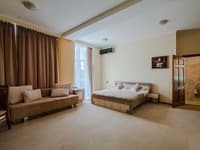 The main and the main thing: we are engaged in daily rent of apartments in the center of Kiev since 1992. Apartment in Kiev by the day By the way, dozens of companies flew by us, who tried to simply earn on the flow of clients during the daily rent of the apartment, losing their face and tenants. 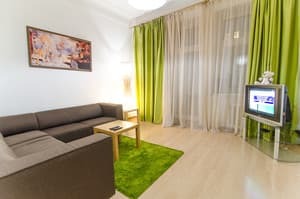 We value our clients and therefore use all the experience gained during this period when renting apartments in Kiev in order that our guest would be satisfied. 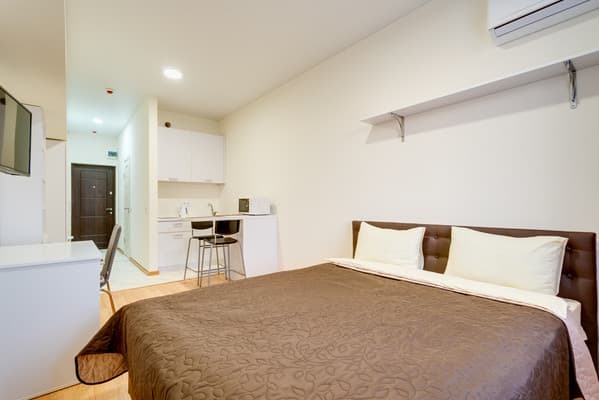 Additional places are provided in some apartments (written in the description of the apartment). Residents have the opportunity to cook on their own in the kitchen. The kitchen has all the necessary accessories for cooking and serving. Nearby there are many cafes, shops, restaurants. 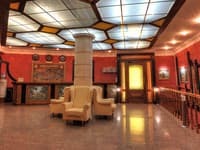 Apartments "Rent Kiev" are located at different addresses in the central part of the city of Kiev. 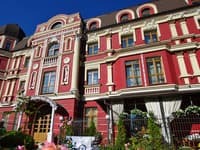 Approximate distance from the "Rent Kiev" apartment to the central railway station is 4 km, to the bus station 7.7 km, to the airport "Borispol" 34 km. For an additional fee, a transfer order can be arranged. You can also reach the apartments by taxi, by metro.